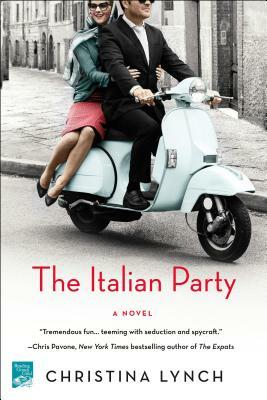 A delicious and sharply funny page-turner about “innocent” Americans abroad in 1950s Siena, Italy. One of the Wall Street Journal's "Six More Books to Read This Winter" • "Required Reading," The New York Post • Library Journal's "Spring/Summer Bests" of 2018 • A Sonoma Index-Tribune Bestseller • One of CrimeReads' "Debuts to Discover Spring 2018"
When Scottie’s Italian teacher—a teenager with secrets of his own—disappears, her search for him leads her to discover other, darker truths about herself, her husband and her country. Michael’s dedication to saving the world from communism crumbles as he begins to see that he is a pawn in a much different game. Driven apart by lies, Michael and Scottie must find their way through a maze of history, memory, hate and love to a new kind of complicated truth. Half glamorous fun, half an examination of America's role in the world, and filled with sun-dappled pasta lunches, prosecco, charming spies and horse racing, The Italian Party by Christina Lynch is a smart pleasure.